Late 2018 and early 2019 have been pretty busy for Canon, mostly with the launch of the EOS R, EOS RP and 10 new RF mount lenses. It doesn’t look like the 2nd half will be quite as exciting. We’re told that the 2nd half of 2019 will be more about updating older product lines and launch some new lines such as the ZV-123 instant print camera. This is what we’re told to expect. Three new G series PowerShot cameras. The PowerShot G7 X Mark III has been a bit of a unicorn around these parts, but it’s obvious that it’s coming. We can also expect a PowerShot G5 X Mark II and a PowerShot G9 X Mark III. As far as DSLRs, we’re told to only expect amateur level cameras such as Rebels and the EOS 80D replacement. More waiting... I'm a bit curious to see what the 80D replacement is, though. Hmm, and no new M replacements either? I would consider an update to the 80D to be a pretty big announcement. Let's just hope it isn't nothing more than an increase of 2-4mp to the sensor and 1 fps to shooting. I've heard absolutely nothing about the EOS M lineup. It makes sense they'd just ride out the M50, it sells really well and doesn't cost a lot. OK now i am confused.. 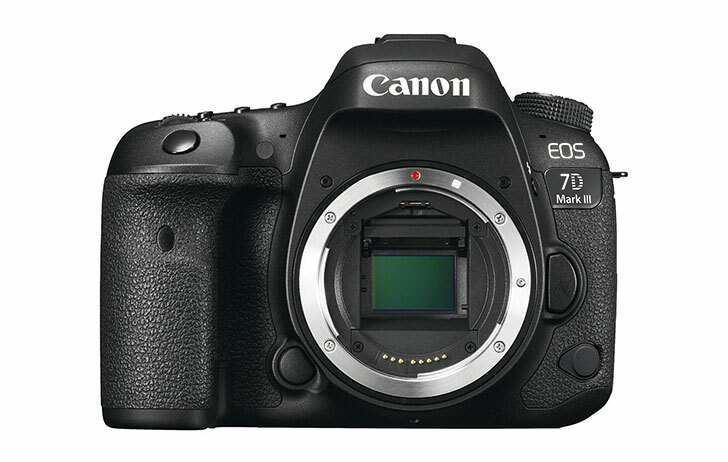 I thought the song was that the 80D and 7D mark II successor would be fused into one.. I'm curious, other than 4K, what would you be hoping for? Your post above reminds me of the time my very young son opened up a gift while uttering, "I just hope this isn't a sweater." He got a sweater. You're getting a sweater. We're all getting sweaters. Those certification guesses can change over time. There have also been a few times that a "certified' product never actually gets released. I've been wondering if the faked G7X Mk 3 render that looked so amazing made Canon push back the real one because it looked so boring and incremental compared to the fake design. I'd call the total of 10 lenses launched a "paper" launch a la computer components. Yes, they launched 4 and announced 6, but none of the 6 announced will be available for awhile. Only the 4 launched/announced with the R are available for order (or were for pre-order). They haven't even shown real models to anyone of the next 6 yet, just mock-ups. Yes, the lineup looks awesome, but at this time, that's all it is - "looks". I'm really hoping to see some awesome quality out of these new lenses. This year seems to be more of a "calm before the storm" for Canon, and I'm really hoping that it builds to a raging one rather than something that fizzles out instead of hitting like we hope. It's all about points of view. "Merged into one" may mean that the 90D moves upmarket and subsumes the 7D's role, and "no new professional camera" may mean that the 90D doesn't reach the heights of the 7D line, or what Canon (or this source) considers "pro". So it could be that the 90D is released, no 7D3 is ever released, and it's not a "pro" camera. This may mean that the 90D still has tilty-flippy and no joystick, but acquires even more speed and AF prowess. Im curious, was this rumor from a known or new source? I'd be 100% ok with this. Especially if the MP count is making a significant jump too, for better sports cropping.